CONGRATULATIONS TO OUR DISTRICT QUALIFIERS! 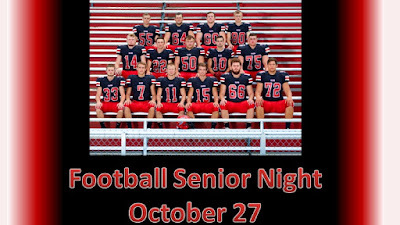 Come cheer them on Friday afternoon at OU in Athens!! Meet Starts at 4:15. Congratulations Falcon swimmers! Great job at the sectional meet. The Women's team placed 3rd out of 17 teams with 371 points. The Men's team placed 5th out of 17 teams with 268 points. Combined they placed 4th overall. Top finishers were -Geoff Dixon 1st in the 100 Back, Ian Hoover 2nd in the 100 Breaststroke, Grace Smeltzer 3rd in the 50 Free. The Boys Medley Relay of Geoff Dixon, Luke Wood, Ian Hoover & Heath Grubb finished 2nd and the Girls Medley relay of Grace Smeltzer, Amanda Baker, Bri West, &Lizzi Baker finished 3rd. The Girls 200 Free Relay of Grace Smeltzer, Amanda Baker, Bri West & Lizzi Baker also finished 2nd. Points were also earned by Monica Taylor-200 Free & 100 Breaststroke, Elise Conrad-200 Free & 100 Free, Payton Kraft-200 Free &100 Free, Amanda Baker- 200 IM & 100 Breaststroke, Hannah Schmelzer- 200 IM & 100 Back, Lizzi Baker- 50 Free & 100 Free, Bri West- 50 Free & 100 Fly, Rylee Barr- 50 Free, Grace Smeltzer- 100 Fly, Caelan White- 100 Free & 100 Back, Claire Vail- 100 Breaststroke, Bryn Cisco- 100 Breaststroke, 400 Free Relay of Rylee Barr, Caelan White, Claire Vail & Payton Kraft. 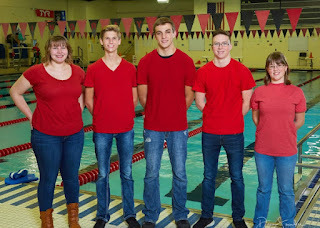 Luke Wood-200 Free & 100 Breaststroke, Geoff Dixon- 200 IM, Luke Gornall- 50 Free & 100 Free, Robert Hoover- 50 Free & 100 Free, Ian Hoover- 100 Fly, Heath Grubb- 100 Breaststroke, 200 Free Relay of Luke Gornall, Ian Hoover, Robert Hoover & Geoff Dixon. 400 Free Relay of Luke Gornall, Isaiah Noland, Heath Grubb, Robert Hoover. 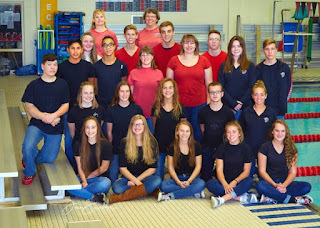 The Fairfield Union Swim Team had their MSL Swim Meet at Columbus Academy on Saturday, Jan. 27th. The team had a great meet with many swimmers improving times in their events. CONGRATULATIONS to Geoff Dixon who earned MSL - HM in his 100 backstroke. The girls team won 6th place out of 14 teams with 75 points. Earning points for the team were- Medley Relay of Grace Smeltzer, Amanda Baker, Bri West & Lizzi Baker. 200 Free Relay of Payton Kraft, Rylee Barr, Bri West & Lizzi Baker. 400 Free Relay of Payton Kraft, Claire Vail, Rylee Barr & Grace Smeltzer. Grace Smeltzer 200 IM & 500 Free, Amanda Baker 100 Breaststroke, Lizzi Baker 50 Free & 100 Free, Payton Kraft 100 Free, and Claire Vail 200 IM & 100 Breaststroke. The boys team won 6th place out of 11 teams with 85 points. Earning points for the team were- Medley Relay of Geoff Dixon, Luke Wood, Ian Hoover and Heath Grubb. 200 Free Relay of Ian Hoover, Heath Grubb, Luke Gornall, and Robert Hoover. 400 Free Relay of Luke Gornall, Isaiah Noland, Thomas Wade and Robert Hoover. Geoff Dixon- 200 IM & 100 Back, Luke Gornall- 200 Free, Ian Hoover 100 Fly & 100 Breaststroke, and Robert Hoover- 50 Free & 100 Free. 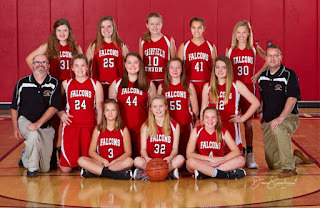 Fairfield Union Falcons had a meet at Tri Valley on Monday Jan. 22. The Girls team came in 3rd place. Earning points for the girls team were-Medley Relay "A" of Bri West, Grace Smeltzer, Amanda Baker and Lizzi Baker. Medley Relay "B" of Hannah Schmelzer, Claire Vail, Rylee Barr and Payton Kraft. 200 Free "A" relay of Caelan White, Amanda Baker, Claire Vail and Payton Kraft & 200 Free"B" relay of Hannah Schmelzer, Bryn Cisco, Monica Taylor and Elise Conrad. 400 Free "A" relay of Rylee Barr, Grace Smeltzer, Bri West and Lizzi Baker & 400 Free"B" relay of Monica Taylor, Bryn Cisco, Elise Conrad abd Caelan White. Hannah Schmelzer- 100 Back, Monica Taylor- 200 Free , Elise Conrad 200 Free , Grace Smeltzer 50 Free & 500 Free, Lizzi Baker 100 Free & 100 Back, Bri West 100 Fly & 100 Back, Amanda Baker 200 IM &100 Breaststroke, Rylee Barr 100 Fly, Payton Kraft 100 Free , Claire Vail 200 IM & 100 Breaststroke, & Caelan White 50 Free. The boys team came in 5th place. Earning points for the boys team were- 200 Free "A" relay of Geoff Dixon, Luke Wood, Ian Hoover and Heath Grubb. 200 Free Relay of Luke Gornall,Robert Hoover, Ian Hoover,& Heath Grubb. 400 Free Relay of Luke Wood, Luke Gornall, Robert Hoover and Geoff Dixon . Ian Hoover- 100 Free & 100 Breaststroke, Geoff Dixon- 500 Free & 100 Back, Heath Grubb- 200 IM , Luke Wood- 100 Breaststroke, Robert Hoover- 200 IM & 100 Back and Luke Gornall- 200 Free. Fairfield Union won a Multi- Dual Meet Saturday Jan. 20th with some exciting photo finishes! Everyone on the team contributed points to the win and there were many improved times! GREAT JOB!! Fairfield Union Falcons were one of 6 swim teams at the Lancaster Mini-Invitational Swim Meet on Wednesday, January 17 at the Lancaster YMCA. The girls & boys swim teams both placed 3rd. Earning points for the girls team were- Medley Relay "A" of Bri West, Grace Smeltzer, Amanda Baker and Lizzi Baker, 400 Free Relay"A" of Payton Kraft, Caelan White, Bri West and Lizzi Baker, and 400 Free Relay "B" of Monica Taylor, Anna Burton, Bryn Cisco and Elise Conrad. Earning points for the boys team were- Medley Relay of Thomas Wade, Luke Wood, Geoff Dixon and Heath Grubb, 400 Free Relay of Luke Gornall, Ian Hoover, Robert Hoover and Geoff Dixon, Heath Grubb- 50 Free & 100 Breaststroke, and Ian Hoover 100 Fly. Fairfield Union Falcons swam at the Ned Reeb Swim Invitational at OSU with teams from all over the state. Placing for our team was Geoff Dixon- 8th in the 50 Free and 15th in the 100 Free. 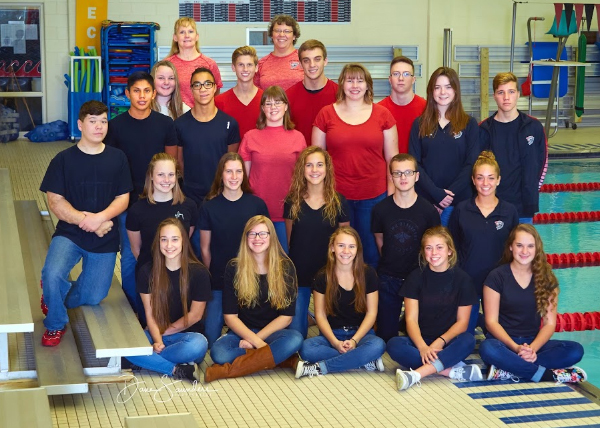 Fairfield Union Falcons were one of 5 schools at the Tri-Valley Swim Meet on Saturday, Dec. 9th at the Muskingum Recreation Center in Zanesville. The girls team placed 4th and the boys team placed 3rd. Earning points for the girls team were- Medley Relay of Bri West, Grace Smeltzer, Claire Vail & Lizzi Baker. 200 Free Relay of Hannah Schmelzer, Amanda Baker, Claire Vail & Lizzi Baker. 400 Free Relay of Hannah Schmelzer, Payton Kraft, Bri West & Grace Smeltzer. Claire Vail- 200 I.M. & 100 Breaststroke, Amanda Baker- 100 Breaststroke, Lizzi Baker- 50 Free & 100 Free, Bri West-200 I.M. &100 Back, Grace Smeltzer-50 Free & 500 Free . Earning points for the boys team were- Both Medley Relays of Thomas Wade, Luke Wood, Geoff Dixon & Heath Grubb and Luke Gornall, Robert Hoover, Ian Hoover, & Sam Schmelzer, 200 Free Relay of Thomas Wade, Luke Wood, Heath Grubb & Robert Hoover. 400 Free Relay of Luke Gornall, Sam Schmelzer, Ian Hoover & Geoff Dixon. Heath Grubb-200 I.M. & 100 Breaststroke, Geoff Dixon- 50 Free & 500 Free, Luke Wood- 100 Breaststroke, Robert Hoover- 100 Free & 100 Back, Luke Gornall- 200 Free & 100 Back , Ian Hoover- 200 I.M. &100 Back, And Thomas Wade- 100 Free. Fairfield Union Falcons were one of 3 schools at the Chillicothe Swim Meet on Tuesday, Dec. 5th at the Ross County Y. The girls team and the boys team both placed 2nd. Free & 100 Breaststroke, Bryn Cisco- 50 Free & 100 Breaststroke, Bri West-100 Butterfly &100 Back, and Grace Smeltzer-100 Butterfly &100 Back . Earning points for the boys team were- Medley Relay of Thomas Wade, Luke Wood, Geoff Dixon & Heath Grubb. 200 Free Relay of Luke Gornall, Luke Wood, Heath Grubb & Geoff Dixon. 400 Free Relay of Isaiah Noland, Luke Gornall, Robert Hoover & Ian Hoover. Heath Grubb-200 Free & 100 Breaststroke, Isaiah Noland-200 Free, Geoff Dixon- 200 I.M. &100 Butterfly, Luke Wood- 100 Breaststroke, Robert Hoover-50 Free & 100 Free, Luke Gornall- 50 Free,and Ian Hoover- 100 Butterfly &100 Back. Swim Meet on Saturday, Dec. 3rd at OU. The girls team placed 12th and the boys team also placed 12th. With combined points the team placed 13th overall. Earning points for the team were Geoff Dixon- 7th in the 200 I.M. and 7th in the 500 Free , and the girls 200 medley Relay of Bri West, Grace Smeltzer, Rylee Barr and Lizzi Baker placed 9th.